← Friday Fictioneers – Did You See the Light? Latest challenge has been issued by Frank from A Frank Angle. You see, back in May, he wrote his first attempt at a short story (a fine job indeed) and his ending left his readers in all sorts of states! He thought it would be a grand idea to ask said readers to rewrite the ending in 75 words or less. Well, as one who cannot ignore such a summons, here is my two cents’ worth! She leans her body into him and her head is no longer facing away. They lock their eyes for the first time, and her eyes and face speak to him then. She places her head on his chest. He walks her back to her table, flushed and bright-eyed, and raises her hand to his lips. “Until next time”, he whispers, and walks away. So… I leave you with a little tango! 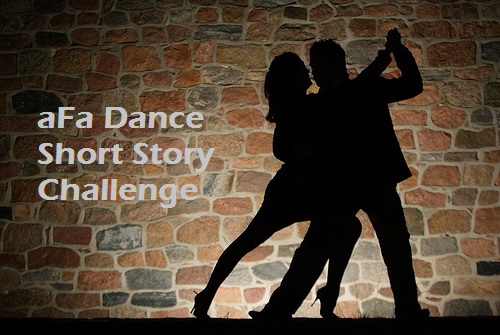 This entry was posted in Challenge, Writing and tagged A Frank Angle, alternate endings, dance, tango, Writing Challenge. Bookmark the permalink. I saw yours (loved it) and I put my ending in the comments too! Seems like steam was arisin’ to the dismay of the boyfriend (whose appearance surprised me) … thumbs up! Because you were one of the naysayers of my original ending, 😉 I hope you approved of my alternative. Good morning … Shall we tango today? On my alternative, I had to go in direction building on the tension. Reading all these ending just goes to show how many different directions one can go. Make sure you read Archon’s. Well … way back when, you had a role in getting this to happen. Thanks! Now this takes the story down another different path, Dale! … and no thanks to me .. I’m crushed. The energy into the story was draining for me. Then again, coming up with an ending with a word limit isn’t easy. A tip of the cap to all participants. We did rock it, didn’t we, Frank? Ummm George? Where’s YOURS? Absolutely! Much more successful and enjoyable than I expected. So true … and I’m very appreciative of them. Agreed..sorry, I was just teasing. Awww…c’mon, Frank! It’s a given the whole thing is thanks to you! I just had to pull someone’s chain. Didn’t he though? Thanks, glad you liked! The tango is my favorite dance – to watch. You made the dancers and the dance tangible. Lovely. Well…in all honesty, Frank did that. I just buggered up the romance at the end! That’s what I get for being so caught up in the tango I forgot where I was reading. Bravo!!!!!! Your ending is fab! Luv the tango scene! I remember the movie, now I want to watch it again. Thanks Dale! Hmmm…now I want to re-watch it!